Simplify your time in the kitchen by collecting a repertoire of no-fail, go-to dishes. You’ll pull these recipes out MANY times in your homemaking career for hosting, hospitality, or just busy seasons of life. 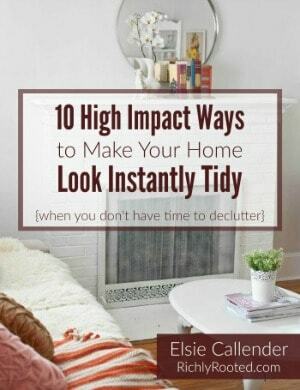 Today I’m going to share a little homemaking secret I’ve discovered that will make your life so much easier–whether in your daily routine, when hosting company, or in your outside social activities. Yes, in all that! As I explored in my previous blog post, I believe every homemaker should recover the lost art of cooking from scratch. Cooking doesn’t have to be your passion (although great if it is! ), but it should be a basic skill you can practice and hone. Taking this a step further, every homemaker should curate a small list of go-to, signature recipes. 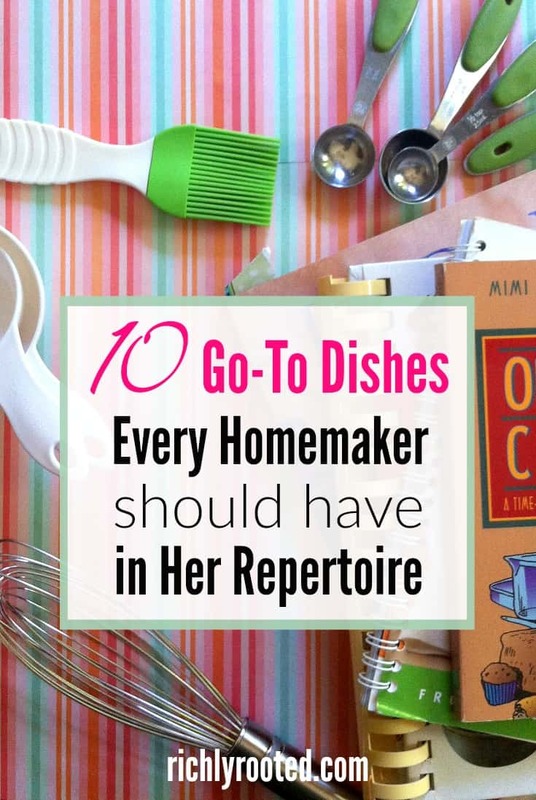 These are recipes that you’ll come to rely on throughout your homemaking career, as the same type of situations happen again and again. For instance, there will be many times when you want to take a meal to someone (like a sick friend, a family who’s moving, or just had a baby). Simplify your life by having a go-to meal that you use in this situation. As you read this blog post, start making a list of recipes to be your signature dishes. Pull from existing family favourites, or seek out new recipes if you don’t have something that already fits the category. Over the years, you can practice your signature dishes, or tweak and replace them as necessary. Likely you’ll find that you become known for these “specialties.” People will begin to ask you for the recipes. Your family will associate these dishes with you; they’ll be linked to good memories and love made tangible through food. And you? You’ll love the simplicity of having a handy arsenal of recipes you’re good at, that will be “just the thing” in times of need. You’ll turn to this recipe time and time again: When your family needs to get an early start the next day, when you want a no-fuss breakfast to serve to house guests, or when you want to make Sunday mornings easier so you can get out the door to church. One of our favourite make-ahead breakfasts is this Cinnamon Roll Baked Oatmeal. These 10 make-ahead breakfast freezer ideas also work great! It’ll save your sanity on more than one occasion if you have a few reliable 20-minute meals in your toolbox. 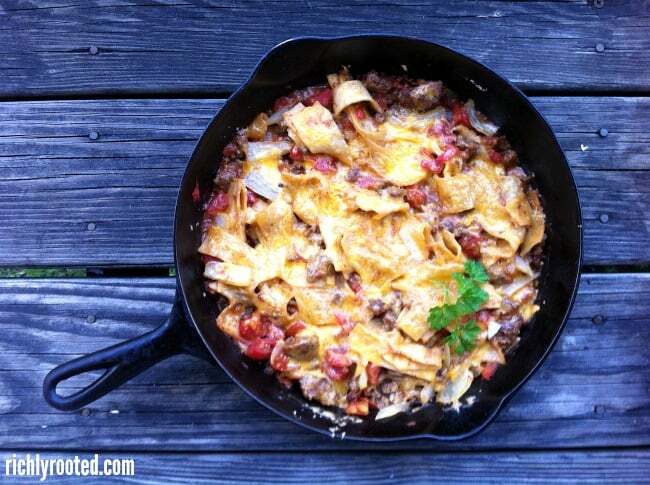 This cheeseburger skillet meal is super quick if the ground beef is already browned. (Keep browned ground beef in the freezer for meals like these.) For an even quicker version, try this variation, which uses tortillas instead of pasta, so you don’t have to wait for the pasta to cook. My other quick meals are tuna melts or taco salad. You’ll have plenty of opportunities in your life to show someone hospitality by bringing them a meal. 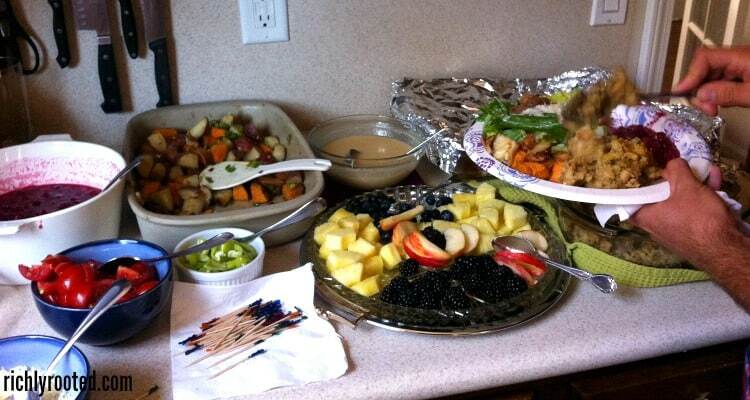 To get ideas for this kind of meal, see what other people bring you when you’re on the receiving end. Is there something that was particularly convenient for you, or comforting? Model your own go-to meal off of that! You can also see what people sign up to take when your church is collecting meals for someone else. My friend Erin likes to bring salad meals as her standby meal donation. She doubles the recipe so she has supper ready for her family that night, too! Every family needs a favourite soup to serve as comfort food. Plus, soup is deliciously frugal! A while ago I rounded up 50 hearty, real food soup recipes, so head there if you need inspiration to pick yours! Our family also loves making soups from the gorgeous soup cookbook Ladled by Kimberly Harris. Do you have a party or reception to attend? Hosting guests for a holiday? 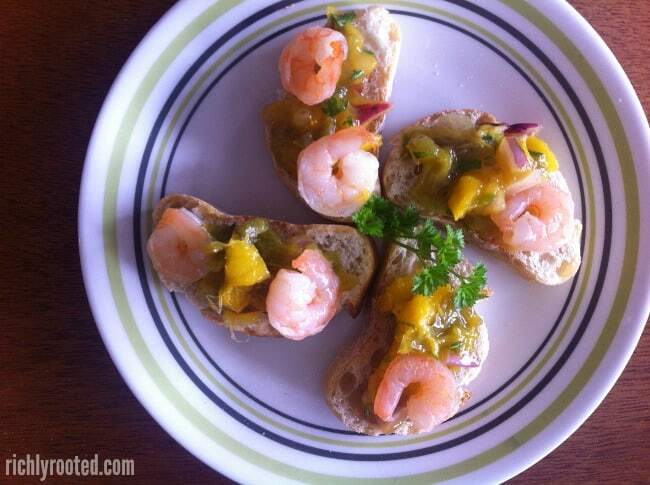 A quick yet delicious appetizer will come in handy. My friend always brings the same warm bacon dip to our book club meetings, and believe me, none of us mind the repetition! I haven’t found a signature appetizer dish, yet, but here’s a list of 30 quick appetizers from Taste of Home that’s giving me some great ideas. With so many people living with food allergies these days, it’s a smart idea to have a good allergy-friendly entree in your toolbox. Of course, you might live with food allergies yourself, and if so, this separate category probably isn’t necessary! But if your family isn’t used to eating this way, have a good dish or two on hand that you can serve to friends with food allergies. In the fall, I like to make this spaghetti squash casserole (although I add browned, ground sausage and plenty of dried herbs). If squash isn’t in season or I need a dairy-free alternative, I’ll make Korean beef or egg rolls in a bowl (similar to these). You might actually want to have a couple of from-scratch cake options, to suit your family’s preferences. 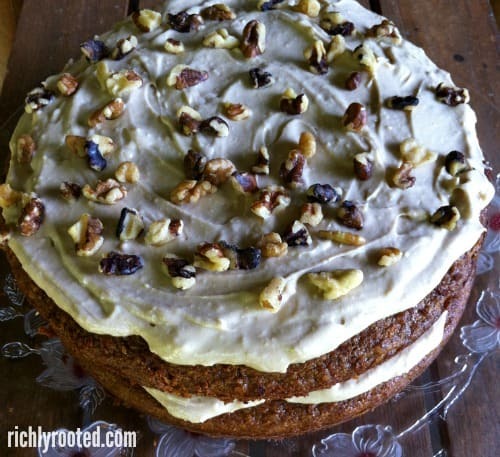 I made up my own recipe for our favourite moist carrot cake with maple cream cheese frosting. For chocolate cake, I’m thinking this one will be my standby. It was so easy to make! I’m still on the hunt for the perfect yellow butter cake. This should be a dish you can easily double–or triple–so you can feed a crowd or freeze batches for later. Serve it to company, take it to potlucks, or enjoy it for a hearty weeknight meal. You find all kinds of uses for a good casserole! My mom’s go-to casserole is poppy seed chicken, and I never get tired of it. Pick a zesty, filling salad that you can use for picnics, potlucks, or to round out and brighten any meal. You might choose a pasta salad, a quinoa salad, tabouli–whatever suits your taste preferences and complements the meals you typically make. In addition to a repertoire of go-to dishes, it’s super helpful to have at least one complete, one-week meal plan on file. It shouldn’t just be a mishmash of recipes, but a sequence of menus that fit logically with each other, in terms of cooking prep and grocery shopping. You can pull this out when you’re too busy for regular meal planning and you want to have the thinking already done for you! What are your favourite go-to dishes, and what occasions do you use them for? My go-to quick dinner is BBQ sausage served with rice and canned/frozen black-eyed peas. When the kids were little, they loved beef rice/noodle mix with ranch style beans. They called it “Cowboy Dinner”. I like stratas for do-ahead breakfasts. Our hearty soup is Bacon Corn Chowder or Vegetable Beef Soup. I often take the latter as a new baby meal, with some corn muffins. It’s hard to keep a casserole ready for hospitality now, with all the food sensitivities, so I just try to keep enough ingredients on hand to put one together. Those sound like delicious go-tos! Very cozy and hearty. 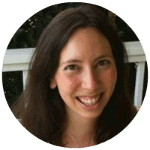 I love this – a logical way to eliminate decision fatigue in a moment where you may be low on decision making capacity. You always bring such perfect solutions and intentional ideas to the table in your posts!!! This is genius – a great way for me to make my huge recipe collection more manageable. Maybe a sheet of go-to’s could find a spot in a homemaking binder or planner! I’m so glad! And good idea to put it in a homemaking binder!